This 3BR Condo, which boasts a spectacular view of Ilalo Volcano, is located on the ground floor in KIRO CUMBAYÁ and offers 1,448 sq ft of total living space, 1 spacious master bedroom with an ensuite bathroom and 2 additional bedroom also with an ensuite bathroom. The real gem of this project are the expertly crafted interior design choices with three different options, BEIGE, GREY, or WHITE, each offering luxury finishes that will appeal to anyone seeking understated elegance. 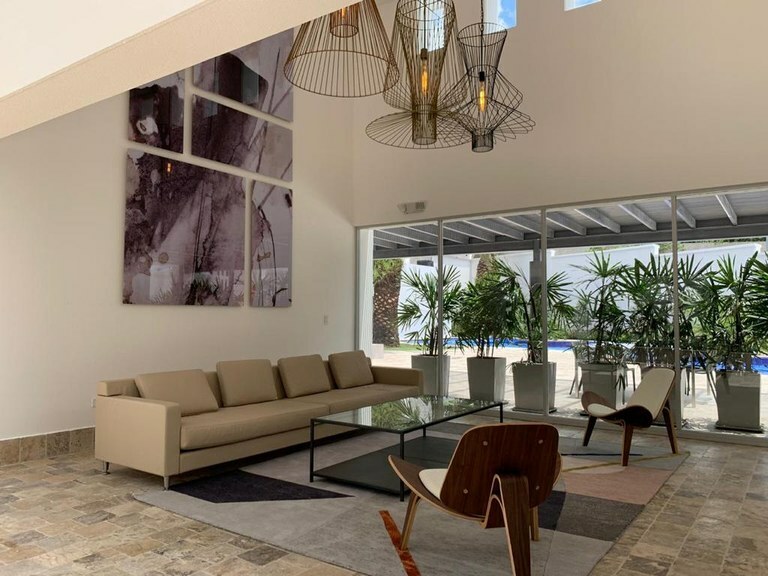 This condo includes a beautiful covered outdoor living room equipped with a fireplace where you can relax in the open air taking in the spectacular views of the landscape while enjoying the warm climate that Cumbayá has to offer. These are just some of the reasons why Cumbayá has become the next hot area for development, as well as the abundance of green spaces and parks, diverse international cuisine, hospitals, shopping, and the quality education system including a top university and international schools. 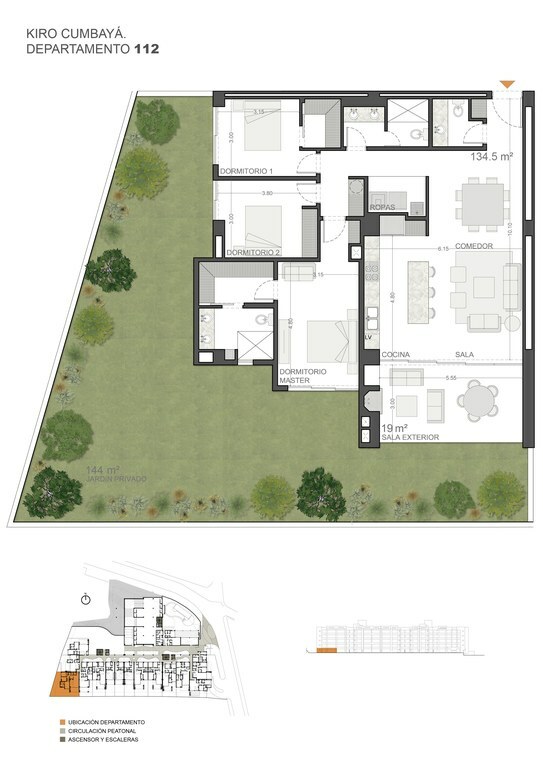 This brilliantly designed project is located in the heart of it all, close to everything you need, and also offers its own unique common areas to enjoy: a 3-level Jamaican style pool, a rooftop garden and lounge with a 360° view, a gym and spa, and its own garden area with a playground perfect for children.